Europro Tour — Tim Rice went into today's final round of the Clipper Logistics Championship just a stroke behind leaders Luke Jackson, Stiggy Hodgson and defending champion Billy Hemstock at Moor Allerton Golf Club in Leeds. The Limerick man shot a two under 69 to get to five under par with Killeen Castle Ricky Weldon the only other Irish player to make the cut. Challenge Tour — Niall Kearney was the best of the Irish as Germany's Florian Fritsch flew into an early lead in the Norwegian Challenge after shooting a sensational round of 64 at Miklagard Golf Club. Kearney's five under 67 left him tied for sixth with Lurgan's Gareth Shaw back in the pack on level par after a 72. Stephen Grant )76) and Mike Kelly (81) have work to do to make the cut. Limerick's Tim Rice fired a five birdies in an immaculate 67 to grab a share of the lead after the first round of the The Kerry London Championship on the New Course at Burhill. Challenge Tour — Slowly but surely, Niall Kearney is edging closer to a breakthrough. 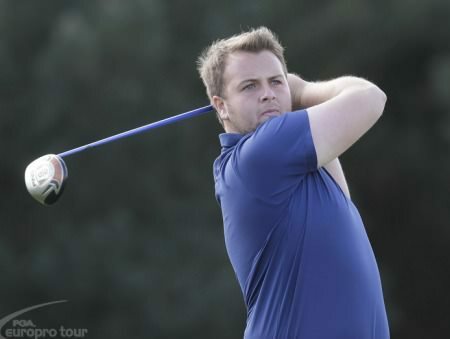 Ruaidhri McGeeRuaidhri McGee continued his streak of good results when he finished tied for fifth behind Billy Hemstock in the Europro Tour’s Clipper Logistics Championship at Moor Allerton Golf Club.